Robert Kubica‘s recovery from an horrific rally crash in 2011 takes an important step this week – the Polish driver will be testing a Mercedes DTM car in Valencia, Spain. Kubica suffered severe injuries to his right arm when he crashed in the Ronde di Andora rally on 6 February 2011. His forearm was partially severed, which required extensive surgery and rehabilitation. He missed the 2011 and 2012 Formula One seasons as a result of his injuries, and is still on the road to recovery, although it is not clear whether or not he will be able to drive an F1 car again. 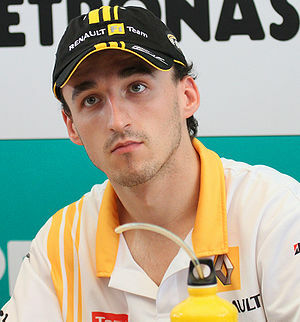 As part of Kubica’s rehabilitation, he started competing in minor rallies in the latter part of 2012. His return to rallying was successful, with victory in the Ronde Gomitolo Di Lana in September 2012. The next step is a return to cars that produce significant downforce, and that is where Mercedes and DTM come in to the picture. The Group C DTM cars produce substantial downforce, which increases the arm strength required to steer the cars. If Kubica can cope with driving the DTM car, then a return to single-seaters could be considered, although he will likely still have difficulty using his injured arm in the narrow confines of a single-seater cockpit, where wrist flexibility – one of the major problems resulting from Kubica’s injuries – is crucial for cornering. Kubica’s legions of fans are eager to see him return to Formula One. A DTM test could be a step back towards F1, but even if that is not possible it is still a welcome return to the track for the the popular Pole.